Levenhuk Atom 7x35 Binoculars are created for those who want to observe the world with the widest field of view. The binoculars provide excellent visibility and perfectly suit birdwatching, panoramic observations and other situations when you need to observe large areas at once. The high-quality optics ensure clear and crisp images, while the compact rubber-armored body rests comfortably in your hands. 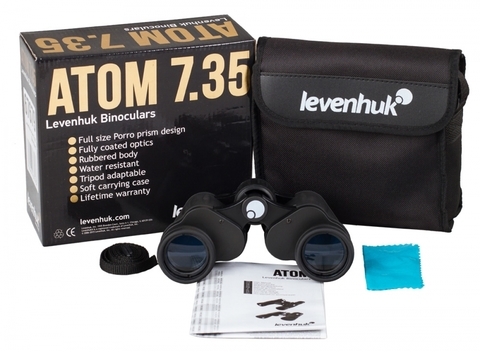 Levenhuk Atom 7x35 is the right choice if you are a tourist, traveler, an ornithologist or a wildlife enthusiast. 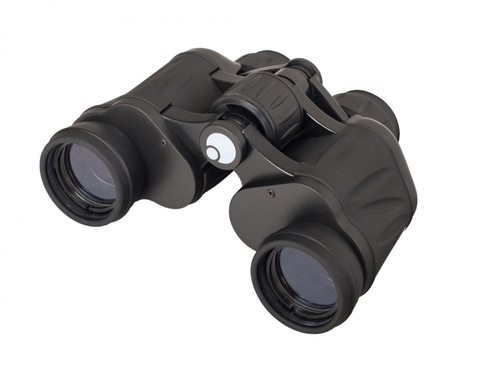 The binoculars use classic Porro prisms; that’s why loss of light inside them is reduced to practically zero. Fully coated lenses produce bright, true-to-life images. The wide field of view is perfect for panoramic observations. 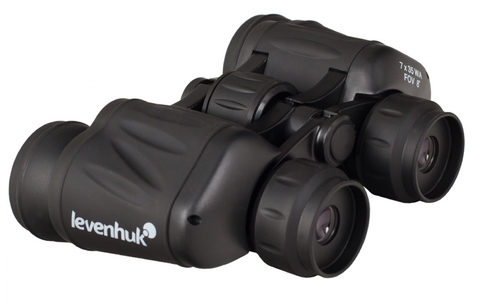 With Levenhuk 7x35 Binoculars you can see the world in all its colors! 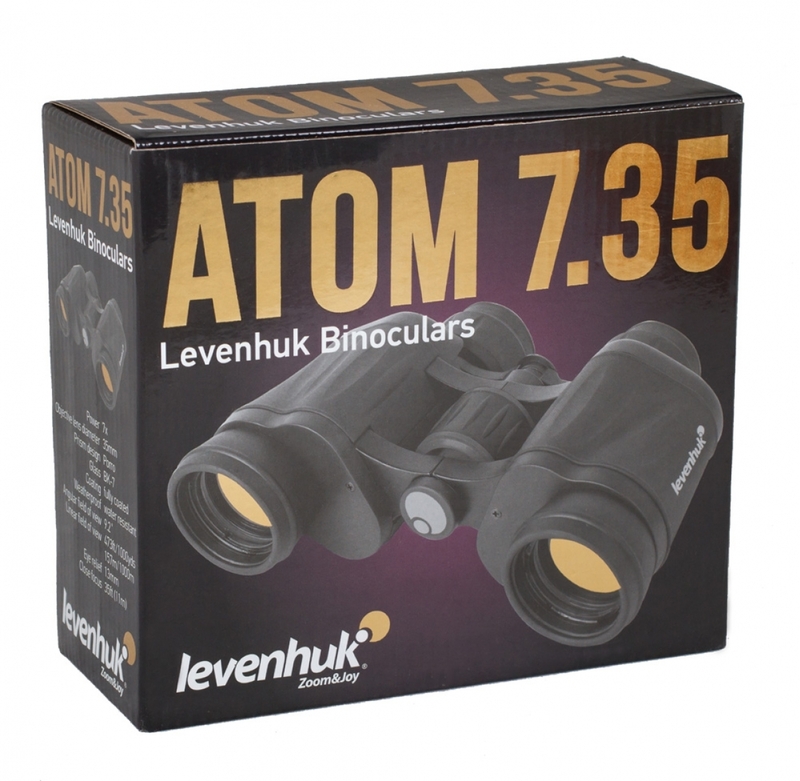 Levenhuk Atom 7x35 Binoculars can adjust to your individual eyesight features as both interpupillary distance and diopters can be adjusted. Soft rubber eyecups ensure maximum comfort during observations. The rubber coating of the shell keeps dust and dirt from getting inside the binoculars.